“Mr. 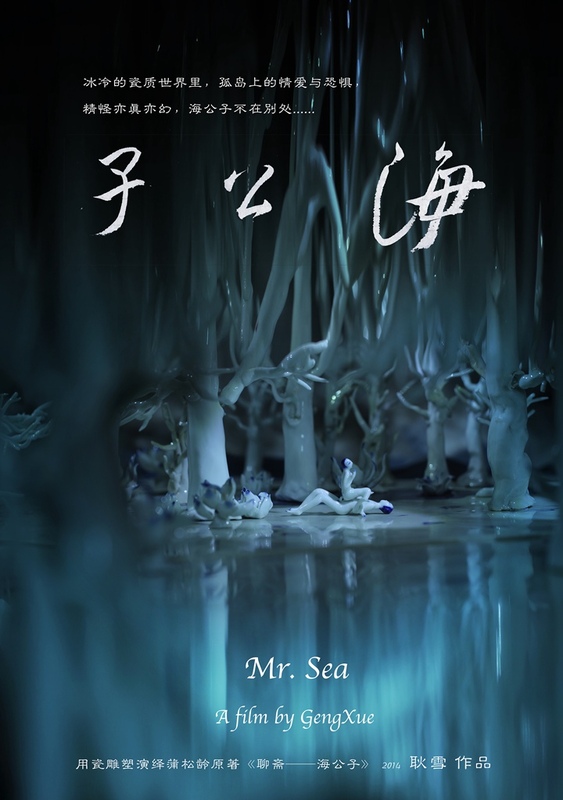 Sea” is one of the “Strange Tales from Make-Do Studio”, and the plot is short and compact: Zhang Sheng searched for the quiet and tasteful resort when he visited the landscape, and then he encountered a beautiful woman in an idyllic beautiful island, the woman said she came together with Mr. Sea, who visited the other landscape elsewhere. When Zhang Sheng was tempted to make love with her, she screamed and said “Mr. Sea has come”, and then she disappeared at once, Zhang Sheng was deadly attacked by a giant serpent, but he luckily ran away, he was so horrified, and he recalled the situation at that time, then he figured out that the beauty was a monster too. Geng Xue’s video “Mr. Sea” is a combination of painting, sculpture, photography, and other media, to deduce the seductive ghost story again. Although the scene of the whole work is fantasy, the emotion is very real, the dream, joy, anticipation, excitement, or all sorts of emotional experiences such as loneliness, depression, sorrow, consternation, helplessness of the nobody is incisively and vividly reflected. The use of the form of visual art Geng Xue presents a “bizarre and weird” story, turning the invisible desires and fears to the visible “Mr. Sea”, which spans the ancient and modern, between the folk and graceful cultures, so that the viewer can not only enjoy the visual pleasure, but they can also appreciate the fragility of life and existential loneliness. In fact, we don’t know whether there is “Mr. Sea” or not. Perhaps, it is just an embodiment of the imagined violence and mercilessness, the fear reflected by the woman or Zhang Sheng? In this world, as long as there is a threat, there is a fear, “Mr. Sea is everywhere”. “In this place, he and I mixed together; in this place, he and I separated”. In his later work “The Unfinished Slave”, Michelangelo still retained the “traces” of the chiseled stone. The labored traces are as heart-touching as the sonnets written to the gay boyfriend by Michelangelo, presenting the confusion and persistence that he struggled in between the reality and divine, lust and faith. The old Michelangelo chiseled stone with an axe, and deep marks were left in the stone. Young Geng Xue didn’t use any tool, but she used her hands to push the soft porcelain clays, like doing a massage on the human’s body. Geng Xue said: “This pile of mud seems to wrap a man, and he comes out in the process of my kneading and touching mud. When I create an eye, he will open his eye to see me, when I create a hand, his hand will turn over and hold my hand…. When it was finished and I blow air into his mouth, his chest begins to rise and fall, as if he breathes in and breathes out. The whole process is made into a video, which is like a standard training film, to record the daily workflow of academic sculptural production. The difference is that the video subtitles with Michelangelo’s love song, which mutually echoes the screened contents. In the entire film, the artist’s step-by-step work and subtle emotion are mixed together, the blazing emotion and cool cutting, tender desire and violent dismemberment form a strong inner conflict. The artist passed her own energy to the soil by her arms. This kind of heat, diverted from the body, runs through the film, presenting an obvious contrast against the frozen clay sculpture, high-tech images, conveying a warm poetic quality to the work. In Geng Xue’s “Big Woman Statue”, her right hand holds a whip, which is hidden behind her. As strong as a man’s hand, her left hand holds a hand around her back. The existence of the hand refers to the other nonexistent body. However, behind her body there is not any other one. The nonexistent and invisible body might be a man, a woman, an ideal, a ghost, and also any empty “existence”. 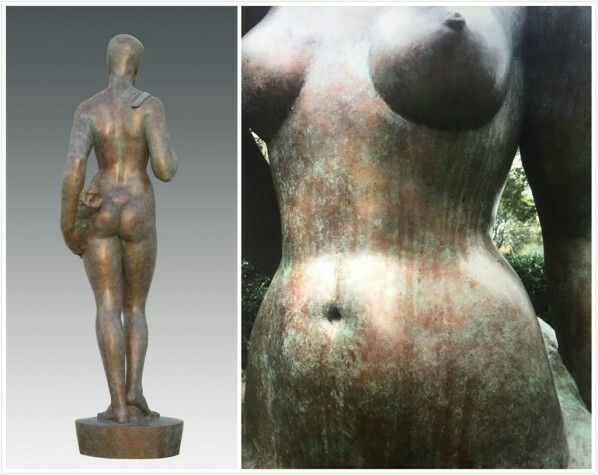 “Big Woman Statue” doesn’t seem to be modern, avant-garde, and even conservative. The artist used the traditional model to make a sculptural statue since the Renaissance, drawing from Michelangelo’s “David” on the postural shaping of figure. David handholds the sling to fire at the enemy, while the Big Woman Statue handholds the Nietzsche’s whip, which was not raised by her. Like “David”, “Big Woman Statue” is a hero’s image, but she is not a traditional “apologist” or “martyr”, she has a huge, sanctified, and rationalized body, she is not arrogant cold, but has the warmth of the real world, she does neither rely on her lover, nor demanding to serve as a foil to the enemy, she is just a strong and independent existent body, between the ideal and the secular, between the religious purge and the original desire, desiring to freely communicate with the subject in any other form. 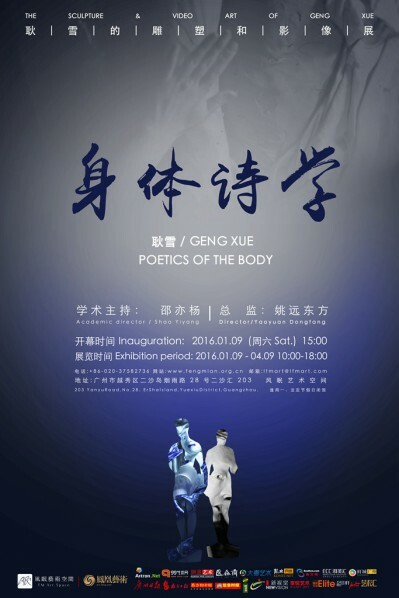 Geng Xue’s “Big Woman Statue” continues the perceptual pursuit of the videos “Mr. Sea” and “Love Song by Michelangelo”. Figure statue is originally the poetics of the body, Geng Xue’s works take the body as the clues and they are themed on love, but they do neither attempt to freeze the romantic moment, nor pointing to a good end, on the contrary, they constantly reveal that various unknown threats have limited our desires, at the same time, it also records the brief and better sensory experiences that are difficult to retain, in our memories. They inspire us: the pursuit of personality, lust, freedom is natural and unstoppable. Geng Xue graduated from the Department of Printmaking, CAFA, with a master’s degree, in 2014, and she was an international exchange student in Karlsruhe University of Arts and Design, Germany in 2013. 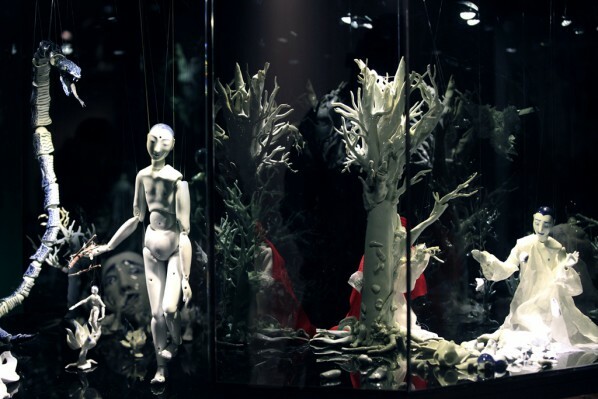 She studied in the Department of Sculpture, CAFA, from 2002 to 2007, graduated with a bachelor’s degree.